I have been on a sweater knitting kick this summer. We just got a new batch of beautiful yarn into the store. It is a Rowan wool and cotton blend, and organic! Very soft, and just a little bit shiny. I had been eying the pattern for this sweater for a while, and when we got the yarn, I decided to use it. 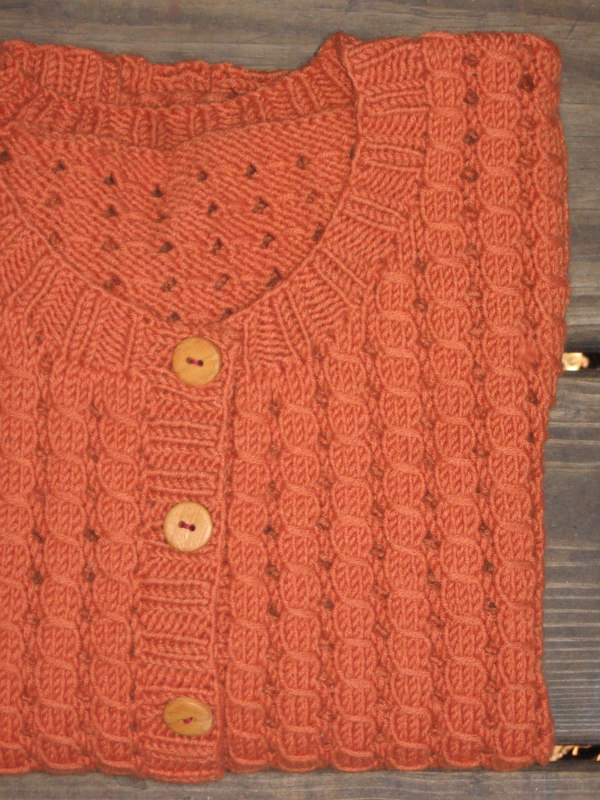 Of course I used the orange yarn…and I sewed on the wooden buttons this morning, so now it is officially finished. Except for a few stray threads. 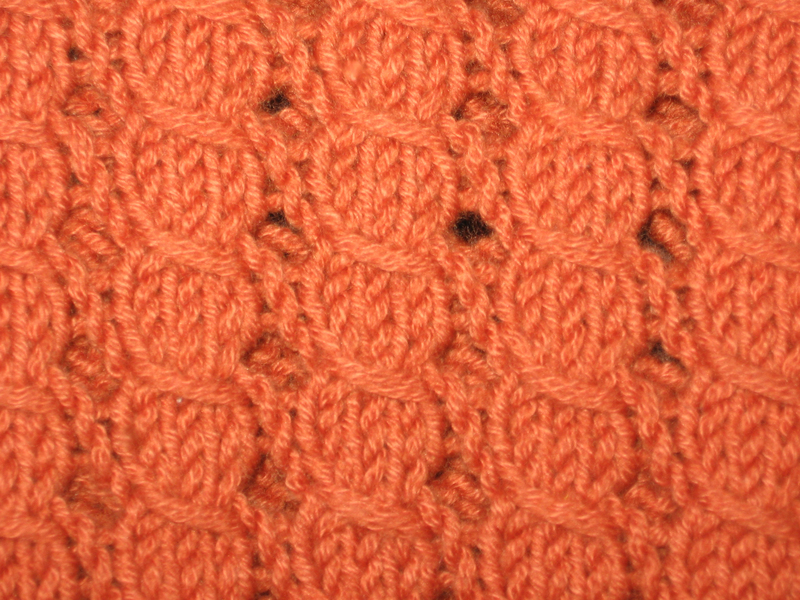 The pattern is a four stitch, four row repeat. It was simple, but engaging, and kept the knitting a little bit interesting. 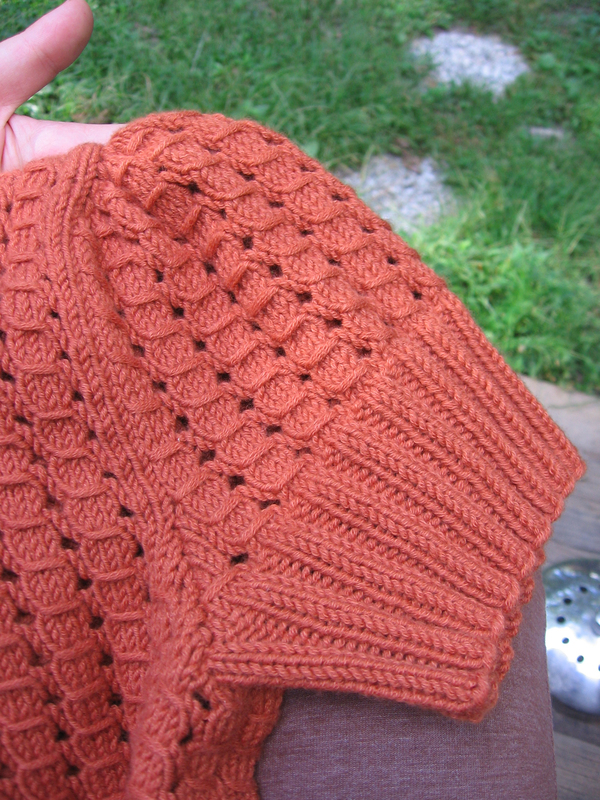 There is six inches of ribbing at the bottom of the sweater, and no side shaping. I was a little worried that it wouldn’t fit well, but the ribbing seems to do the trick. The sleeves are one of my favorite parts. They are a little bit puffy, which was created by dramatically decreasing over the last two rows of the sweater.